Storage – You can never have enough storage. Give us an empty drawer or cabinet and we will fill it. Here we shared tips on where to save, but also where to splurge on storage space and flex rooms in order to maximize your homes efficiency. Building Time – Are you prepared for the time commitment to build a custom home? Knowing and understanding your timeline can help relieve a lot of stress when building a home. We discussed the factors that come into play when we set timelines for our custom houses in this blog. It's also very important to factor in any changes that are made during the build process. 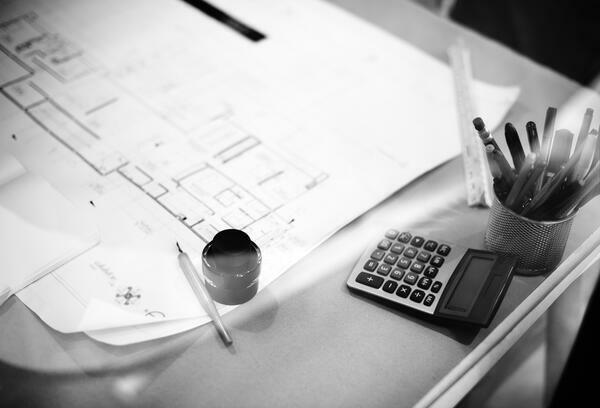 Setting a budget and understanding the timing associated with building are imperative to making the construction process run smoothly. Style – Do you have your heart set on a certain home style? You can never go wrong with classic touches like subway tile or indoor wood paneling, and don’t be scared to branch out and add a few unique features in modern paint colors that stretch beyond the neutrals– being able to pick and choose each item is a huge benefit of building a custom home. If you are still in the beginning stages of considering a custom home build, you may want to fill out our Pre-Design Questionnaire. This is a great place to start outlining your vision for your home. Building for the Future – Building a custom home has so many benefits but one of the best ones is being able to prepare your home for future needs. Multigenerational Living is huge trend that we don’t think will phase out anytime soon, and you’ll never regret having been prepared with extra living space for family members. Did you know that we also build green? We are an ENERGY STAR® Certified Homes Partner. Lot Size – Your lot size and shape will be a huge factor in determining the footprint of your custom home. For example, if you want a wide one story but your lot is narrow and long – there are ways to accommodate your wants within the property boundaries. These are just a few factors to consider when designing and building your custom home. Kurk Homes has professionals on staff to help you design your home to ensure it is aesthetically beautiful but also functional to your needs. If you are interested in building a custom home, contact us to learn more.